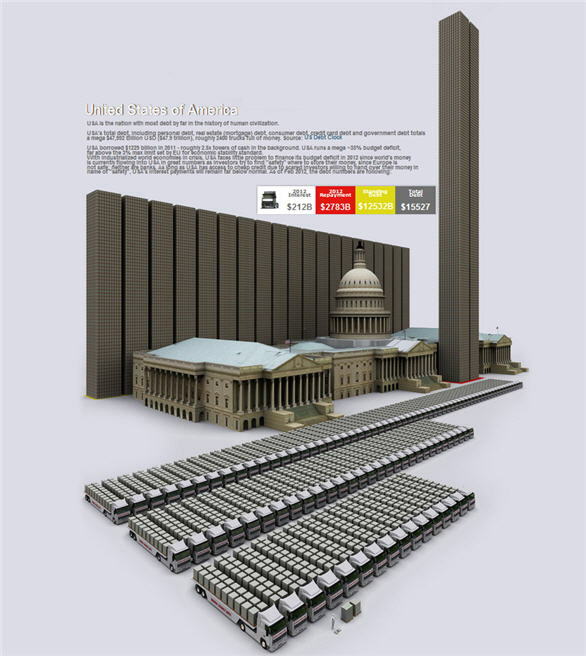 Demonocracy.info helps put into perspective how much debt nations around the world have amassed using stacks of $100 bills. The infographic starts simply, showing what $10,000 and $100 million looks like—all quite easy to wrap your head around. But when Demonocracy.info starts to stack up the debt levels of some major economies, it all start to look quite unreal.